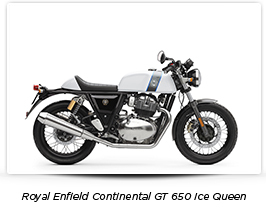 Following the Himalayan model equipped with MT 60™ and the Continental GT 500 cc with SPORT DEMON™, now the new Continental GT 650 and Interceptor INT 650 will be mounted with Pirelli tyres. 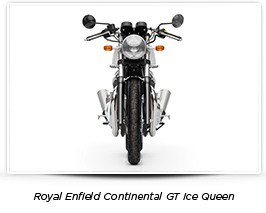 To celebrate the original equipment supply, Pirelli’s Motorcycle Testing Department climbed the Himalayan chain to reach one of the highest vehicle-accessible passes in the world The collaboration between Pirelli, one of the leading tyre manufacturers in the world, and Royal Enfield, the historic Anglo-Indian motorcycle company, is further strengthened: the new models Continental GT 650 and Interceptor INT 650, recently presented at EICMA, will fit Pirelli PHANTOM™ SPORTSCOMP as original equipment tyres. 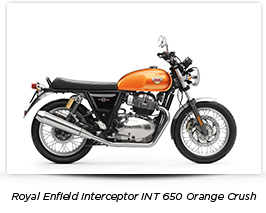 The new Continental GT 650 and Interceptor INT 650 are just the latest models that Royal Enfield has decided to equip with Pirelli tyres. 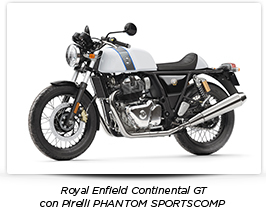 For the Himalayan, another Pirelli tyre, the MT 60™, was selected, while Pirelli SPORT DEMON™ was chosen for the Continental GT 500 cc. 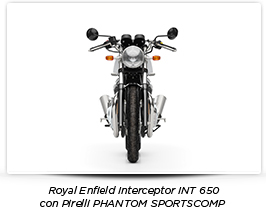 The new Continental GT 650 and Interceptor INT 650 powered by the 650 Twin will be equipped with the legendary PHANTOM™ SPORTSCOMP (in 100/90 - 18 M/C 56H TL front and 130/70 - 18 M/C 63H TL rearsizes). 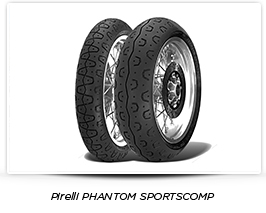 PHANTOM™ SPORTSCOMP is part of a line of historical tyres of the Pirelli Sport Classic range, which includes also the MT 60™ and SPORT DEMON™ models, destined to respond to the heritage trends and chosen by motorcycle manufacturers and customisers, to equip modern café racers, medium-powered custom bikes and modern classics. 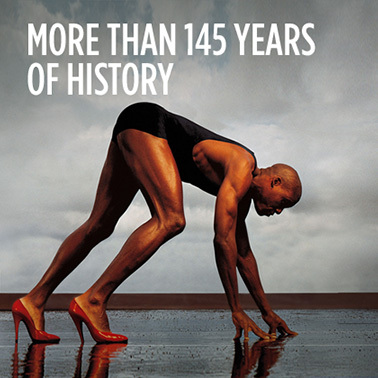 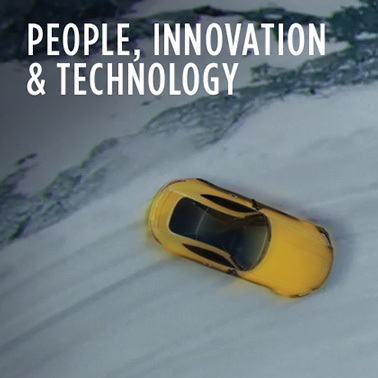 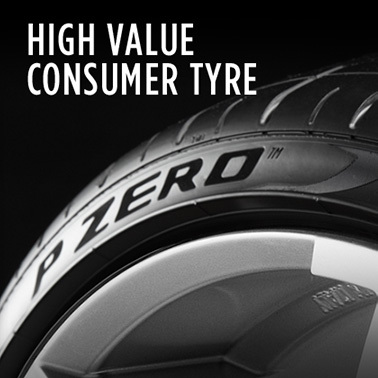 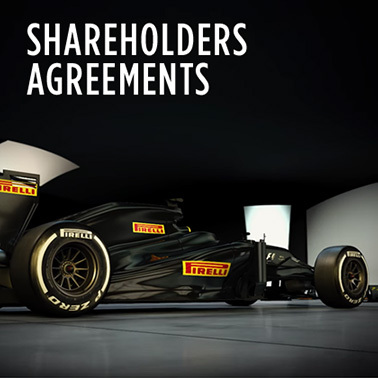 Tyres of Pirelli's PHANTOM™ line are legendary. 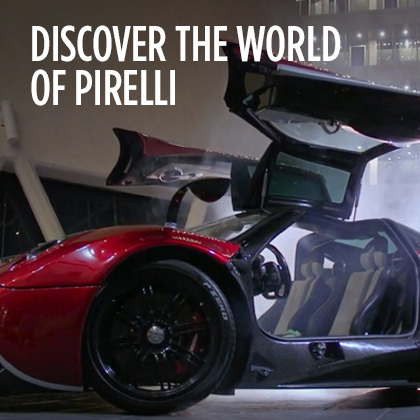 They were produced for the first time back in 1977 and redesigned over the years to keep pace with the most modern technologies. 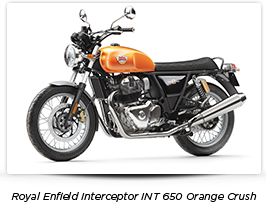 Their constant presence and evolution over the years make it one of the most important brands among motorcycle products made by the "long P" company. 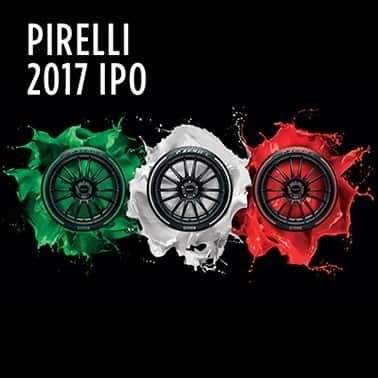 With the new millennium Pirelli revised the PHANTOM™ SPORTSCOMP radically, combining the sporting origin of the Sportscomp with timeless charm and style, thus giving rise to a Sport Classic line within the Supersport segment. 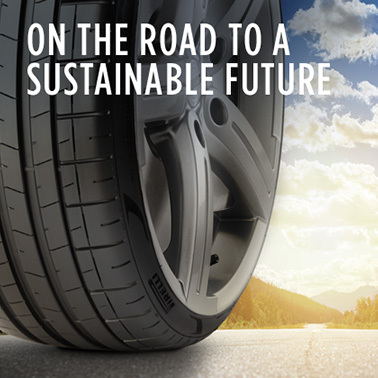 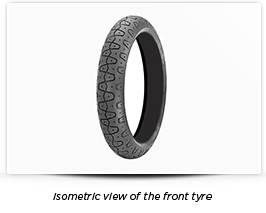 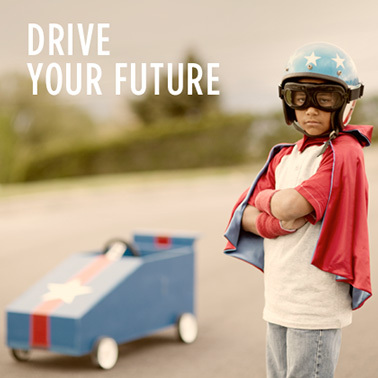 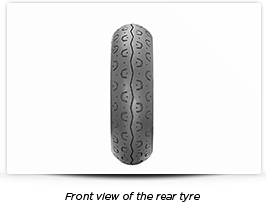 Among the strengths of this tyre include the easy handling and change in direction, stable and predictable behaviour under acceleration and braking, being able to transmit power to the ground and regular wear combined to excellent mileage. 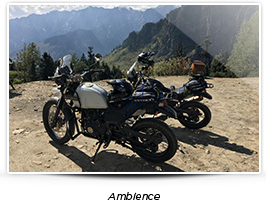 In addition, to celebrating and sealing the collaboration with Royal Enfield, an expedition of the Pirelli Motorcycle Testing Department has reached, with two Royal Enfield Himalayan motorcycles equipped with Pirelli MT 60™ tyres, the Khardung La Pass. 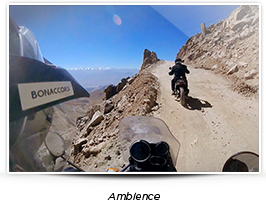 At 5,359 metres (17,582 ft) high it has long been considered the highest vehicle-accessible pass in the world. 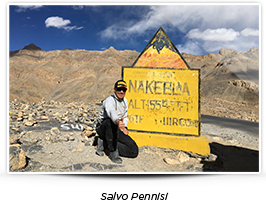 The adventure was realised by Salvo Pennisi, Director of Testing and Technical Relations for Pirelli Motorcycle Division, and by Vincenzo Bonaccorsi, who for Pirelli is the tester responsible for the Original Equipment projects in the Asia-Pacific area. 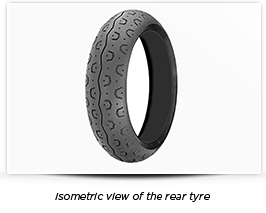 In India to support normal working activities with Original Equipment companies such as Royal Enfield, the two Pirelli Motorcycle Testing Department representatives wanted to celebrate in this particular way the supply to Royal Enfield. 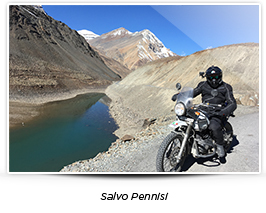 Riding two Royal Enfield Himalayan’s fitted with Pirelli MT 60™ tyres, Salvo Pennisi and Vincenzo Bonaccorsi decided to ride the Himalayan chain; to the Khardung La Pass, one of the highest vehicle-accessible passes in the world in the region of Ladakh, India, north of Leh and considered the gateway to the Shyok and Nubra valleys. 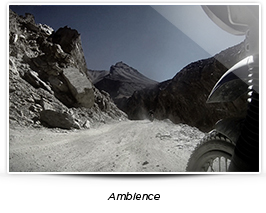 Departing from the town of Manali at midday on Thursday 28 September 2017, after two days and five hundred kilometres of roads and slopes that are so tough and challenging to enter, they are considered in the list of the ‘10 most dangerous roads in the world’. 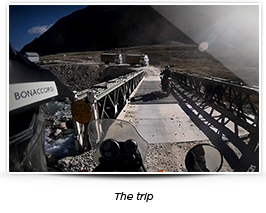 The route took them with forced acclimatization, through the passes of Rohtang (3956 metres above sea level), Nakeela (4711 metres above sea level), Lachungla (5035 metres above sea level) and Kangla Jal (4878 metres above sea level). 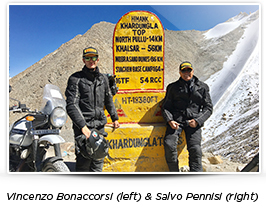 Pirelli's adventurers reached the Khardung La Pass at 12.16 pm on Saturday 30 September 2017, summing up in total, 48 hours and 23,968 metres of altitude, thus crowning one of the most iconic dreams of motorcyclists, to challenge themselves in the Himalayas and attempt the legendary Kardhung La.